Just finished my donation for our quilt guild auction. What do you think? The picture is not too good as I took it tonight, but it should give you an idea. 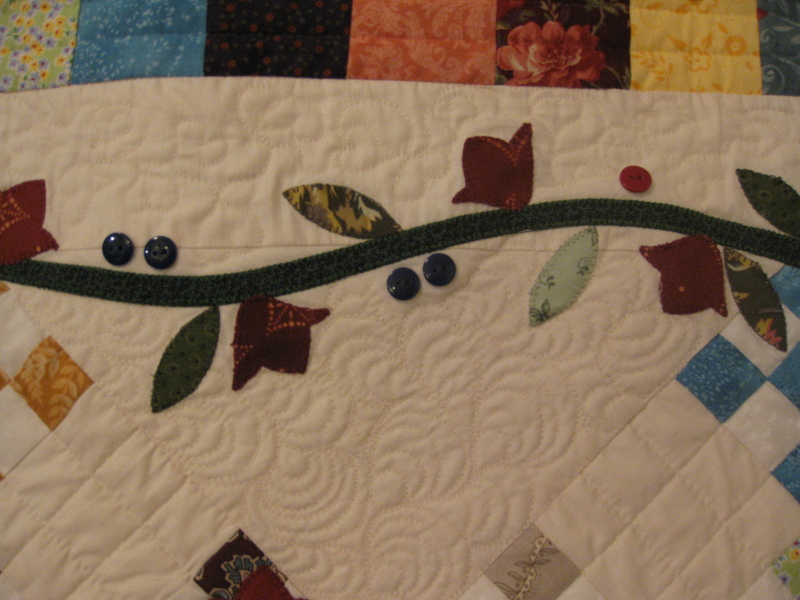 It was based on a design by Jillily Studio, then I added the vine, flowers, leaves, hearts, and the scrappy border. Red and blue buttons around the vine make fun berries. I hope my friends like it, and that it will raise good money for the guild! My first finished project in weeks! Celebration time... 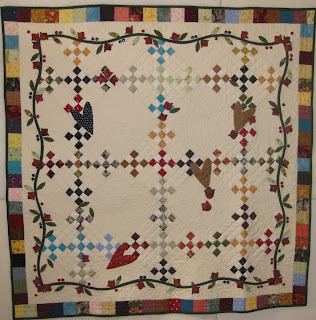 In the meantime, I have already completed 30 out of 48 blocks for the bed quilt. How about you, what have you been up to lately? I like it very much! 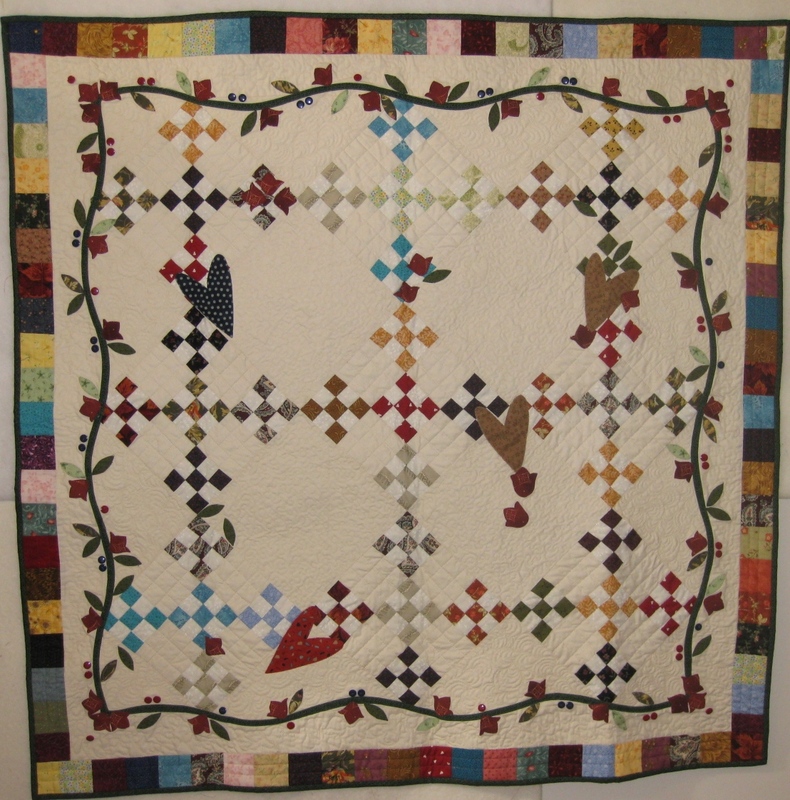 Specially the quilt work!